Teflon hose is wrapped in a strong protective stainless-steel mesh. 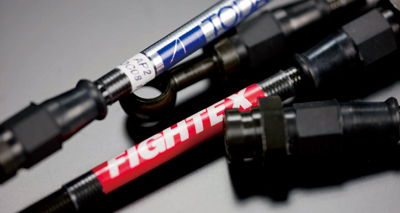 Compared with conventional rubber hoses, it provides an improved resistance performance to higher pressures. 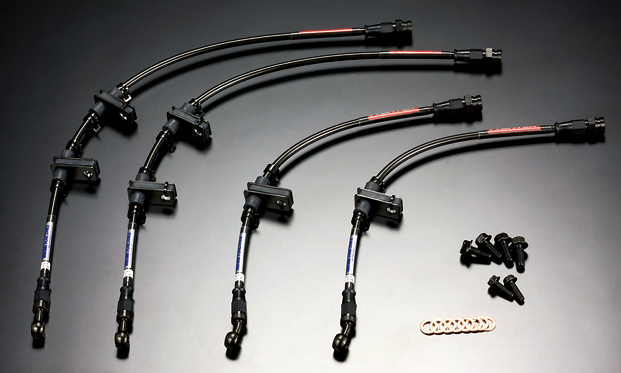 Gives a more direct brake feel, due to the lower expansion of the brake hoses. 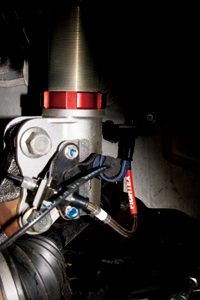 Giving you the best braking performance for both sports driving and circuit. -Transparent protective tube to cover the stainless steel mesh hose. -Fittings made from S45C steel for superior strength and durability. -Swivel joints used to make fitting easier and safer by reducing hose twist.